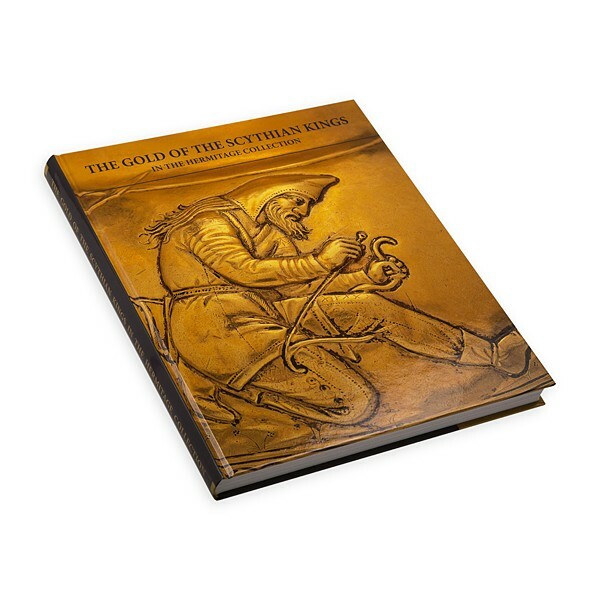 Home » Books » Hermitage Editions » "The Gold of the Scythian Kings in the Hermitage Collection"
The book features seventh- to fourth- century BC objects from the State Hermitage's unique collection of Scythian art. In includes both well-known masterpieces and less known and expressive works, all of which equally reflect the culture of Scythian kings and nobility. by no mere chance most of the objects are made of precious metals, primarily gold, and sumptuously decorated in the so-called animal style typical of Eurasian nomadic art. The museum history of Scythian antiquities is traced back to the 18th century, yet a major part of their discoveries were made in the 19th and 20th centuries. Nowadays excavations of Scythian burial-mounds are carried on and provide new finds to keep the Hermitage collection of Scythian treasures growing. The present book comprehensively presents the great collection and offers detailed reproductions of its objects which may be of interest to art historians. "Alexander of Macedon portraits and mythological image in Art of Hellenism era"